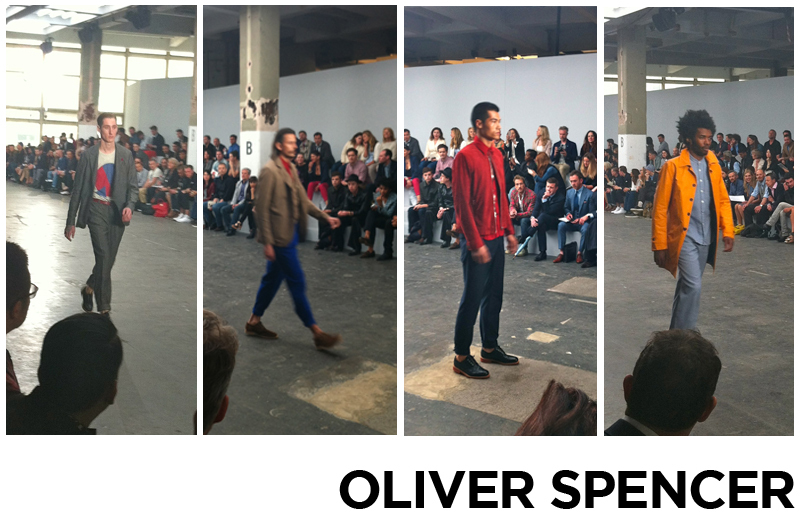 Russian Modernism and painter Ben Nicholson were the main inspirations behind Oliver Spencer’s Spring Summer collection for 2013. Spencer has been known for his skilful use of colour and this season was no exception. Vivid shades of blue, orange and red punctuated the grey backdrop of the Old Sorting Office. Spencer breathed new life into signature pieces like The Portland Jacket and the Fisher Jacket with new colour ways and fabric finishes. 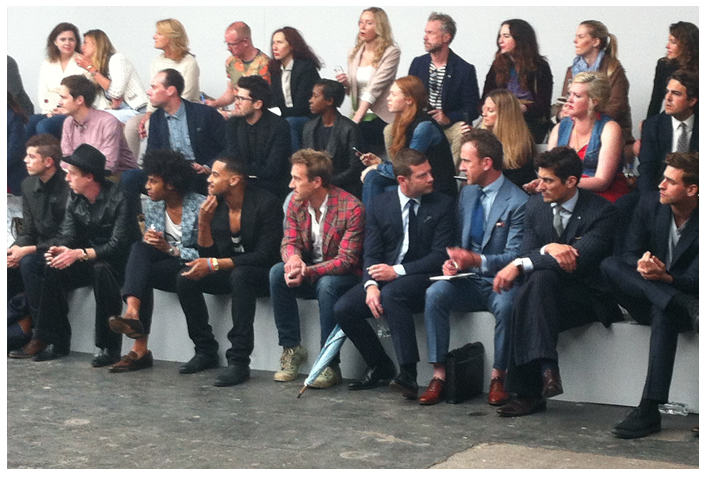 Aztec prints were expertly applied to jackets and shirts with co-ordinating shorts. Rolled up trouser legs lent a more relaxed silhouette to suiting. The board short was another fine addition to the Oliver Spencer line. Plush suede monk strap and derby shoes provided the finishing touches to each look. 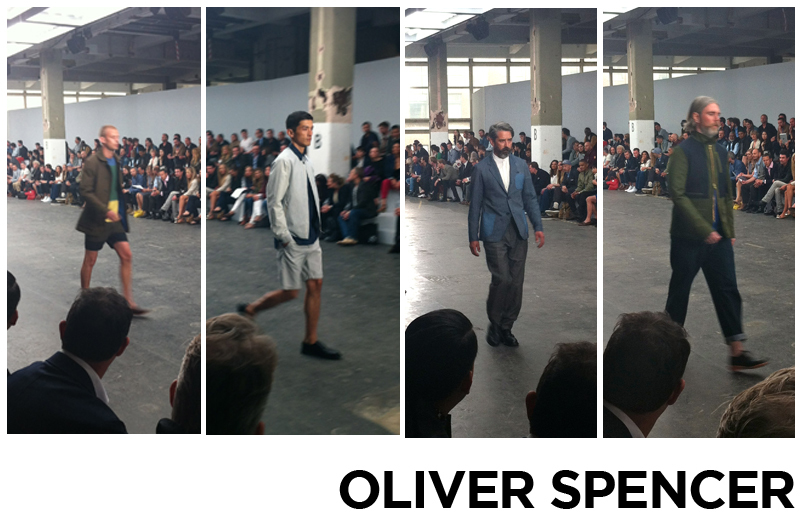 One of the best things about Oliver Spencer’s show yesterday was the casting, the models that walked the runway varied from fresh faced guys to silver foxes (including an appearance by TOPMAN DESIGN’s head designer Gordon Richardson). 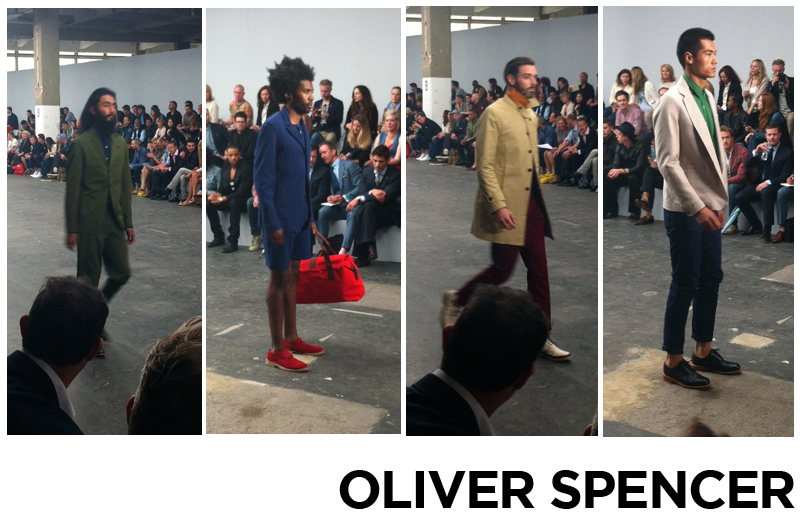 As a whole the collection depicted Oliver Spencer as a designer who caters for every man who favours quality and a rigorous attention to detail. It’s refreshing to see a designer who really knows his clientele and is brave enough to put forward a show that would appeal to that audience. Special thanks to Oliver Spencer and Surgery PR for giving me the opportunity to experience such an exciting show. so cool you got to go there! Yeah the atmosphere was amazing, receiving the invitation was a pleasant surprise!